How Will I Feel During a Detox? Home > About Detox > How Will I Feel During a Detox? While a detox should ultimately leave you feeling more energised and looking better than ever, it’s important to realise that when your detox begins, you may feel decidedly off colour. Though this is perfectly natural and normal, when it comes to the early days of your detox, being forewarned is forearmed! As your body begins the process of detoxification you may experience a whole range of symptoms which might lead you think that you’re unwell. While this is a normal reaction to the cleansing process as toxins are eliminated from the body, feeling poorly is still unpleasant, so time your detox as conveniently as possible, be nice to yourself and tell others about your detox so that they understand what you’re experiencing. The good news is that once you’ve kicked off your detox, you’re well on the way to a fitter and healthier ‘you’. When you feel unwell, your body is simply telling you that it’s being deprived of certain substances that it’s come to rely on, such as caffeine or sugar. Depending on the length and scope of your detox, while the symptoms can last for a few weeks, many people find they feel better in days. 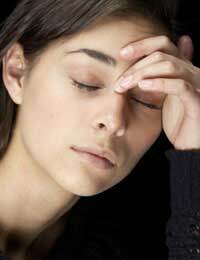 Mild complaints don’t stop at physical feelings, and can include tiredness, mood swings and irritability. For the lucky few who experience mild headaches and fatigue, the initial stages of detox are easy enough to bear. The more toxic your body, the more pronounced the side effects, so it makes sense that the older you are, the worse you may feel. Less pleasant complaints include stomach ache, extreme fatigue, disturbed sleep, and feeling like you have a cold, or even flu. Brace yourself – you may encounter a handful of symptoms that make you feel downright horrid, and if you are unlucky enough to suffer them, you may need to judge whether or not you wish to continue with your detox. Keep your goal in mind and treat yourself gently during this time, remembering that it will pass before long. As unpleasant as you may feel, increased body odour, constipation or diarrhoea, wind, spots and rashes mean that your detox is working hard from within to rid your system of toxic waste. Though it’s widely accepted that you’ll experience some of these complaints during the initial stages of a detox, it remains important to listen to your body and follow your plan correctly. Discuss any new lifestyle or diet with your doctor if it involves radical changes to your existing regime and don’t be tempted to try to run before you can walk! Detoxification works from the inside to rid your body of toxins built up over years, so expect it to take time for you to begin to feel and look great on the outside. Before you undertake a detox plan, make sure you do your research. Your detox need not be strict or extreme – simply introducing fresh, organic food and plenty of water into your diet, and upping your intake of vitamins and nutrients will mean you are soon well on your way to a happier and healthier lifestyle.